Must Be Media is a digital marketing agency and we are now approaching our 10th year in business. 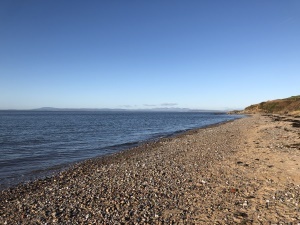 We are based in the scenic location of Morecambe Bay. We are ideally placed between Lancashire and Cumbria and only 1 hour from Manchester and Liverpool. We are a Limited business and also vat Registered. Must Be Media staff members are highly trained, forming a team which has many years of experience. Must Be Media provide websites that look great but are also search engine friendly and mobile responsive. With our staff having many years of experience working for large companies we can help your business to grow on the internet. Over the years we have dealt with businesses in almost every business sector in the SME market and understand the needs of the small business market. This helps us to produce the best results in which ever package we provide you with. Our approach to website design and all our other services are tailored to your needs and requirements. We provide great designs and results. See our testimonials page for some of our clients feedback. We can also help your business with many products such as social networking, telecoms, logos, SEO, E-commerce websites, email service and many more. As the internet evolves, so do we; we are always looking ahead to the future to see which the next big thing in the internet will be. So if you are a customer of ours, we will always keep you up to date with the latest products that have come out to help your business website grow. We will always strive to give our customers the best experience. Once you use Must Be Media, your development manager will deal with your every need. We believe this is the best way so that you have one point of contact. We can achieve this because we are not a large blue chip company, where you are just a number. If you would like any help, or are interested in any of our products, please contact us, or speak to one of our friendly development managers, who will be happy to help. Please also browse our website for examples of our website design services, search results and also our testimonials.